For a limited time only - Try TEST-XL FREE! Testosterone, the master male hormone responsible for the physical attributes unique to men, is a powerful regulator of men's fitness and athletic performance. TEST-XL™ is an all-natural testosterone optimizing formula designed to increase your body's production and activation of testosterone, supercharging your workouts and lean muscle performance, while also enhancing fat loss, energy, and drive. Standard shipping is FREE for all U.S. orders over $50. For orders $50 and under, standard shipping is fast and cost effective; Expedited shipping is available, for an additional cost, on all U.S.-based orders if faster speed is desired. Orders are shipped directly from our warehouse the same day for all orders placed before 4PM Eastern; orders placed after 4PM Eastern ship the following business day. Your product will arrive within 5-7 business days, and often within just 2-3 business days. 2) Bumping testosterone from binding proteins called SHBGs that interfere with the ability of testosterone to exert its actions; in this way, it "activates" otherwise dormant testosterone. In addition to its powerful benefits related to testosterone, DIM is also believed to be responsible for most or all of the protective benefits of cruciferous vegetables, such as prevention (and treatment) of disease, strengthening of the immune system, and more. TRY IT FOR YOURSELF ... 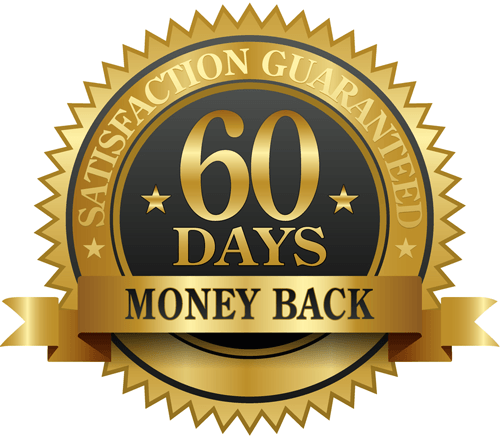 RISK-FREE FOR 60 DAYS! We're so confident that TEST-XL will exceed your expectations, we're backing it up with a full and unconditional, 60-Day Money-Back Guarantee. Seriously ... if you use TEST-XL for 60 days and feel that it doesn't live up to its claims, if you don't experience improvements in athletic performance, a boost in energy and renewed vitality and drive, then we don't want to keep your money. We obviously don't think it'll come to that, but if you're not satisfied for any reason, simply ask for a refund within 60 days of purchase, and we'll promptly refund your money, with no questions asked, and absolutely no hassle. TEST-XL is formulated with a precise blend of herbs, vitamins and minerals shown in research studies (on human subjects) to increase your body's production of testosterone, as well as enhance the action of testosterone already present in your body. We're so confident that you'll join our list of satisfied TEST-XL customers, for a very limited time only, we're offering qualifying customers a FREE 30-count bottle (15-day supply) to try it out, as long as you'll cover some of the shipping and handling (just $4.95). This special offer also enrolls you in our VIP Autoship Program, which includes an automatic delivery of TEST-XL to your doorstep every month, and absolutely FREE shipping. There's no commitment associated with this, and it's super-easy to cancel at any time.Also, for full, 60-count bottles of TEST-XL (one-month supply), we happily back every order with a Full, No-Questions-Asked 60-day Money Back Guarantee. This way, even if you decide to upgrade from a Free trial bottle to a larger supply, you can try TEST-XL truly Risk-Free.